All Of Facebook's Ad Targeting Options In Epic #Infographic ~ Visualistan '+g+"
With more than 1 billion daily active users, Facebook offers up mind-blowing ad targeting options you simply won't find anywhere else. With what seems like endless combinations of demographics, interest, behaviors and more, you can get as creative as you need to in order to reach your target market on Facebook. 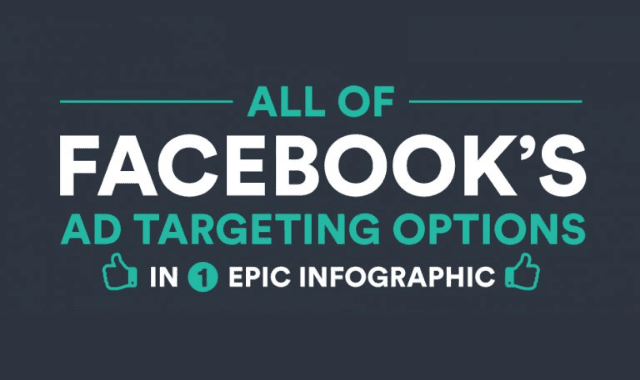 Here's your cheat sheet of all facebook's targeting options in one epic infographic.